Sending personalized drip campaigns to your signups can have a huge impact on conversion. It's something that's been especially effective here at Clearbit. We improved conversion by 40% just by sending different welcome emails to people in sales, marketing and engineering. One of our favorite tools for sending automated emails is Customer.io. It lets you set up rules to automatically send emails to your users based on behavior or other attributes. In this tutorial, we're going to show you how you can use Segment to link Customer.io and Clearbit together with a few clicks, automatically enriching Customer.io with the 85+ person & company attributes that Clearbit's Enrichment product returns. Once the data is in Customer.io, you can use the additional attributes to send targeted and hyper personalized emails. If you haven't already, setup Segment. It's a phenomenal analytics pipelining tool that lets you easily send data to hundreds of marketing tools. 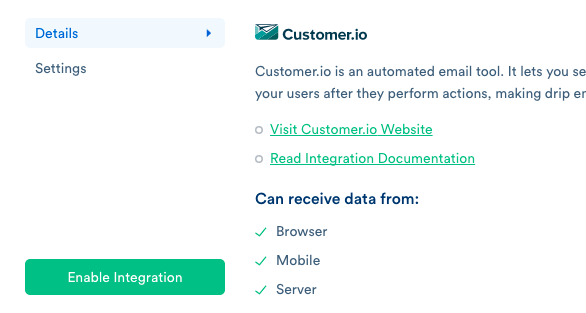 Step 2: Connect Segment and Customer.io - you can do this with a few clicks by setting up a Customer.io account, and inputting your Customer.io API key in Segment. 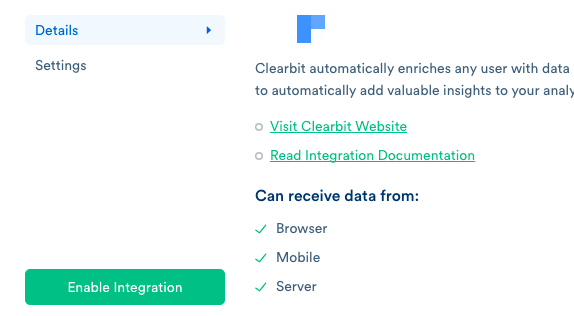 Step 3: Connect your Clearbit account to Segment by adding your Clearbit API key. Now any users with an email address who've been identified in Segment (with an identify call) will automatically be enriched with Clearbit data – then all of those traits will be sent to Customer.io. Now comes the fun part. With this integration you're adding over 85+ new attributes to each user record. This allows you to start playing with that data to build your segments and drip campaigns. Example 1: For our first example, let's create a Segment for "all signups who work in operations, are from a company with over 100 employees, and use Salesforce". This is a real example of one of our Customer.io segments. As as a new signup enters this segment we queue up a sales email for them notifying them about our Salesforce integration. Attributes used for this Segment are: company_geo_country person_employment_role person_geo_country. Combining Clearbit added attributes with internal data makes these segments even more powerful. We've used segments like this to send newsletters to customers in specific countries whenever we're going to be in town and hosting a meetup. Customer.io really shines when it comes to drip campaigns. Here we're going to set up a few drip campaigns that are customized to the role and location of the receipient. Example 1: Let's send different welcome emails to different user types. This makes a lot of sense if you have a diverse user-base. In our case Engineering, Sales, and Marketing users all get unique welcome emails and follow-up drips. 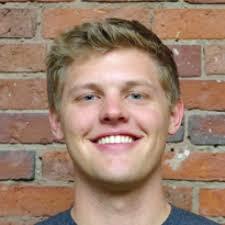 Using this technique at Clearbit we were able to increase welcome email opens and clicks by over 20%. 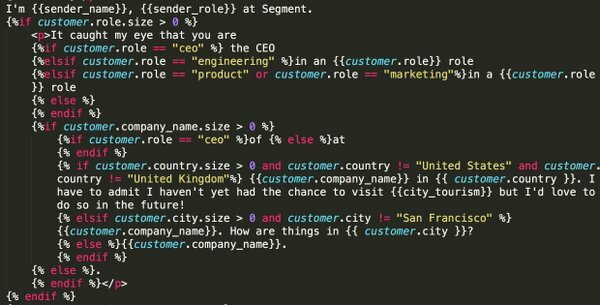 Example 2: Hyper personalize individual emails using Clearbit + Liquid. Use person location to change an email variable. In this case, we're referencing a popular tourist destination in their country based on their location. Example 3: This last example is something we've had a lot of success with - sending specific outreach email to founders signing up for your product. In this example we're creating a segment where person_employment_role = founder. This email has a 69% open rate and a 48% response rate, and gives us invaluable feedback. Any time you can add contextual or personalized information to your communications, you can have a massive impact on engagement, and ultimately conversions. This integration makes that possible with a few clicks and without any coding. It's one of the very best ways to use Clearbit data.